A healthy dish that’s high in omega-3 oils. 2. 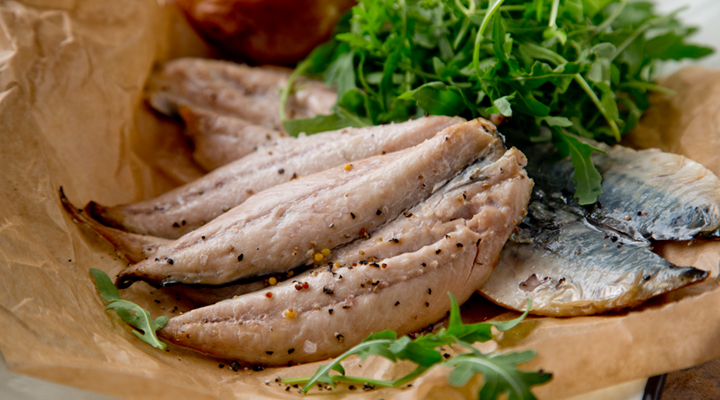 Brush the mackerel fillets with some of the oil and season with a pinch of salt and pepper. Place on a baking tray, skin side up, then bake in the oven for 8 to 10 minutes, until cooked through. 3. Place the lemon juice, lime juice, honey, mustard and a pinch of salt and pepper in a medium-sized bowl and whisk together for a simple and easy dressing. 4. Remove the fish from the oven and transfer to plates. Serve with a baked potato alongside, drizzle 1 or 2 tablespoons of the dressing over the mackerel and tuck in! Store the leftover dressing in the fridge for up to a week. Tip: This can be served with baked potatoes, as you will already be using the oven.